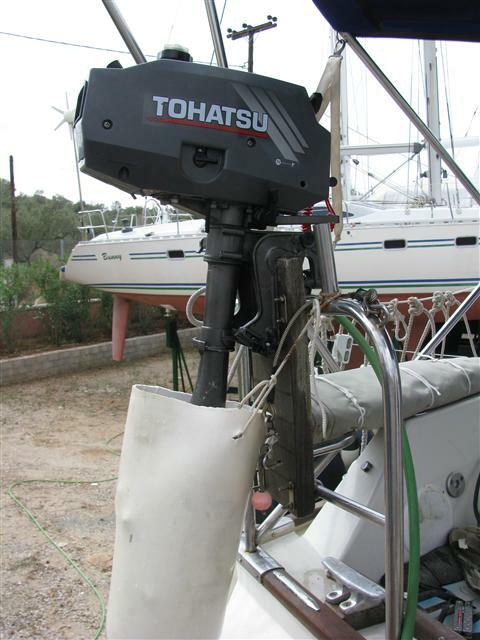 It would be difficult to imagine yachting without the convenience of the outboard motor. This workhorse of the cruising yachtsman is often neglected, unloved, left unattended between weekends, yet remains reasonably reliable. Until that one occasion when the alternative is a long row in less than ideal conditions, and it chooses to stop when somewhere between boat and shore. Inspection of the cooling water telltale reveals a total absence of flow. It is at times like these that the owner regrets not flushing in fresh water after every trip. 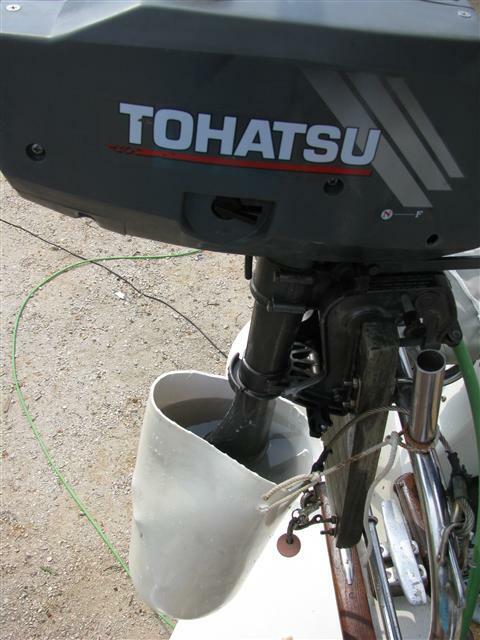 It’s not always convenient to flush your outboard motor after using it in seawater. Many marinas, yards and clubs do not have a fresh water tank, with the result that the internal cooling passages of outboards can remain salty all season round. This idea costs nothing, is extremely portable and can be used on board. It’s simply an old fender with one end cut off. The weight of the water can be taken mainly by a line through the original eye at the bottom, tied off to the pushpit in the photograph. After some experimentation I also drilled two holes at the upper end using a 20 mm hole-cutter to further support the weight without tearing the soft plastic. The device will work with any outboard engine that has a gearbox but it cannot cope with a rotating propeller. Slide the fender over the leg, tie top and bottom, fill with water and run the engine for a few minutes. If a hosepipe is available keep this running into the fender for additional flushing effect. 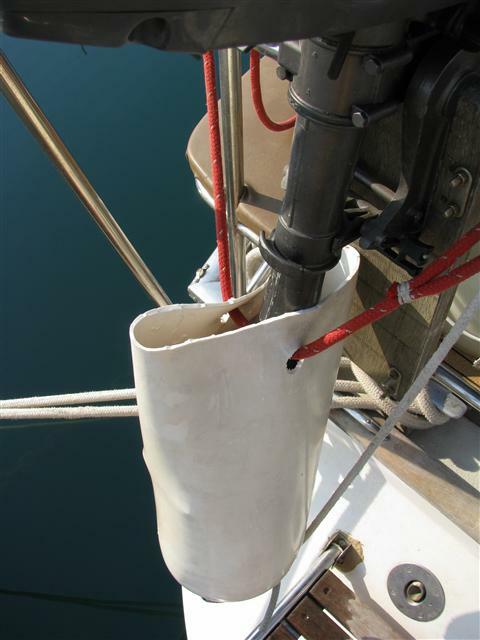 Then untie the upper line, allowing the fender to invert, tipping the water overboard. The fender can then be rolled up and stowed in a small space ready for the next time.